Looking for beautiful uPVC Casement Windows in the Rochester, Maidstone and Kent areas? First Glaze has a fantastic variety for you, available to suit a range of properties. uPVC Casement Windows are an ever popular choice for double glazing in Rochester, Maidstone, Sittingbourne, Chatham, Lenham, Ashford and across Kent, due to their beautiful aesthetics and durable properties. 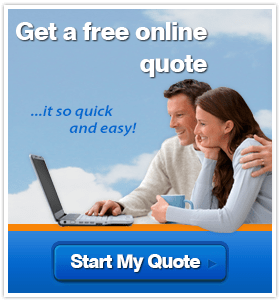 When you choose First Glaze for your replacement uPVC windows, you receive the best installation and service that you can find throughout Kent. First Glaze strives to offer homeowners like you the best for less. We pride ourselves in the first class service that all of our customers receive. This means that you can be sure that your windows will have the perfect fit, first time. There is no fear of missing out on any deals with First Glaze as we always provide our best price, first time. 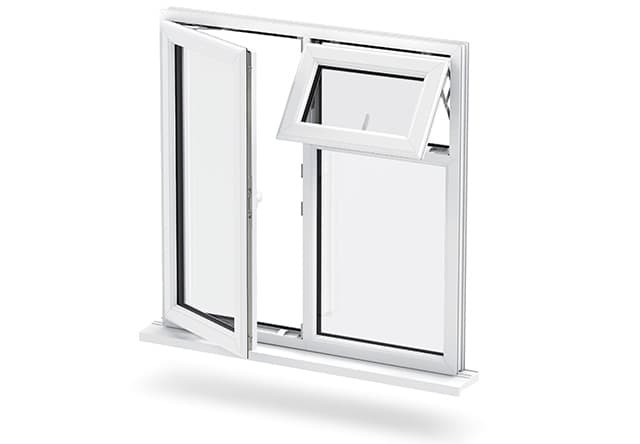 Your new uPVC Casement Windows are sure to keep your family warm inside your Kent home, using an excellent multi-chambered Liniar uPVC profile. This market leading casement windows excel in looks, versatility and performance. Our uPVC casement windows not only look beautiful but also provide exceptional protection against even the nastiest weather. Incorporated design features such as Liniar’s patented bubble gaskets eliminate cold draughts and water ingress. This is achieved by creating a continuous seal by welded them to the frame during the manufacturing process. All of our uPVC windows are rigorously tested to meet and exceed British standards. These tests include water leakage and ingress, airtight tests against draughts and hurricane-force winds. No matter how bad the British weather might get, you know that you will stay warm and dry in your home in Rochester, Maidstone and throughout Kent. The ingenious design of our uPVC casement windows provides homeowners with a level of thermal efficiency that will enhance any property. Multi-chambered technology traps warm air and averts cold draughts, keeping your property warmer for longer. You’ll find that the increased heat retention of your home will allow you to use less energy to heat your home, making your heating system more efficient. Watch your heating bills drop with our energy-efficient uPVC Casement Windows. With an outstanding WER of A+12, your new uPVC Casement Windows are incredibly thermally-efficient, maintaining fantastic eco-friendly properties while giving you the added benefit of lower heating bills. When combined with the fact that every part of our casement windows are 100% recyclable when at the end of their lifespan, you can be sure that are uPVC windows will help reduce any negative impact on the environment. Cost effective as well as energy efficient, our uPVC casement windows are very competitively priced considering their high-security locking systems from Yale and durable properties. At First Glaze, we understand the importance of home security. Their Secured by Design Shootbolt locking system carries a 10 year guarantee, giving you peace of mind when installing double glazing for your Kent home. For that additional security, we’ve incorporated Stay Guard Elite hinge protection which effortlessly withstands twice the force required by Secured by Design testing. For uPVC Casement Windows that don’t require ongoing maintenance, your first choice should be double glazed windows from First Glaze. We choose uPVC for our windows as it’s a durable and robust material that still adds a beautiful aesthetic to your Kent home. It is easily compatible with high security locking systems and incorporates slim sight-lines which allow for a larger area of visible glass and increased light. Unlike timber you will never have to treat, sand or paint your windows when you choose uPVC, neither will you find cleaning them difficult. A quick wipe with a damp cloth and your uPVC windows will be as good as new. Our uPVC Casement Windows are very competitively priced, and are sure to last you many years to come thanks to their fantastic durable benefits. 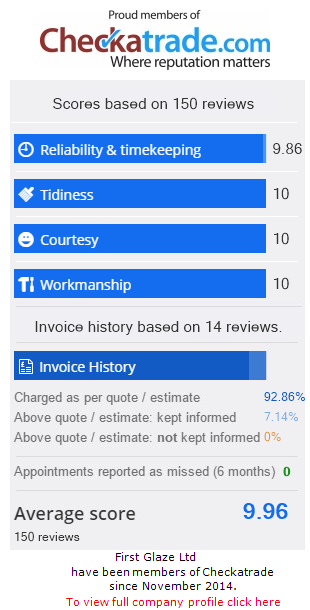 Get in touch today for more information on our fantastic range of uPVC Casement Windows, or start an instant online quote for competitive double glazing prices!